One of the benefits of living in California is being able to enjoy its gorgeous weather nearly all year long, including the winter. Even though the winters here are mild, there are things homeowners must do to protect their property from the upcoming season. Let us take you through seven essential steps to winterizing your home this season. Make sure your roof is cleared of any fallen leaves or pine needles. These both retain moisture and can cause water build up which can lead to the degradation of your shingles. You can prevent this by cleaning your roof once a year. While removing any leaves from your roof double check for any damages to your shingles, cracks in your flashing, and the waterproofing around the chimney and vents. Make sure you get a roofing contractor or handyman to repair these damages before the first rain of the season. Be sure to check all of the wood trim around your windows and doors to make sure the seals are intact. Over time, the heat and dryness of the California weather will cause the caulking to crack and peel, leaving these areas of the home vulnerable to leaks. This is an easy job for you to do on the weekend or your local painter or handyman can easily perform this routine maintenance on your house. Check all of your rain gutters and make sure they are clear of leaves. Leaves in your rain gutters will cause water to back up and overflow. Overflowing water can collect on the roof, flow down outer walls and wood trim, and even seep in around the windows. This will cause deterioration of the wood trim around your house and result in leaks to the interior of your home. Clearing your rain gutters is an easy way to prevent this type of damage to your property and will save you money in the long run. Before you get your fires burning this season check your chimney soot build-up. Excess soot can prevent the proper ventilation of your chimney, which can lead to carbon monoxide creeping back into your house. Be sure to have your chimney inspected before the chill of winter arrives. Schedule your heating and air conditioning contractor to perform a regular maintenance on your furnace early in the season. Keeping your furnace maintained allows it to perform at maximum efficiency and ensures there are no carbon monoxide leaks. Another smart way to winterize your house is making sure your filters are changed every three to six months. Also checking your carbon monoxide and smoke detectors to make sure they are working properly can help reduce costs and keep you warm in the cold winter months. The winters can become a pretty chilling 30 degrees here in some parts of Southern California. Reversing your ceiling fans will push the hot air from the ceiling down towards the ground allowing you to set your thermostat a couple degrees lower and save on your energy costs. Mulching leaves during the fall can help keep your lawns nourished for the winter. Swap out your regular mower blade for a $15-25 mulching blade and make a few passes over the leaves. This allows the leaves to fall between the grass blades and decompose, giving your lawn plenty of nourishment. This saves you time and energy from raking in bags full of those fall leaves. For those of you that live in higher altitude areas like the mountain towns and high deserts, you will be experiencing a lot colder temperatures. Be sure to drain all of your irrigation systems, hoses, and water spigots to prevent the freezing and cracking pipes. Allow the faucets in your home to drip constantly to ensure water flow. This is another way to prevent freezing pipes. Check the insulation of your pipes and repair if necessary. If you are not a full-time resident at your home, it may be necessary to turn off the water and drain your pipes while you are not there. 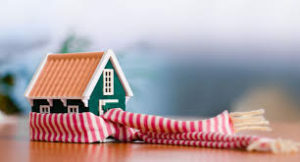 To winterize your home can prevent damage and avoid costly repairs. However, there are times where damage cannot be avoided. If your home needs improvement and you appreciate our attention to detail, call us today so we can design and complete the project of your dreams.